A1 Prestige Limousines offers wedding stretch limousines that are spacious enough to seat the whole wedding party in one car, with custom-made rear doors that extend to accommodate the bride’s dress with ease. Decorate the car with your own personal touch using ribbons and accessories or select from A1 Prestige Limousines’ large range of white and coloured ribbons. A1 Prestige Limousines will make sure all the attention is focused on you on your big day by arriving in a pristine and elegant stretch limousine. 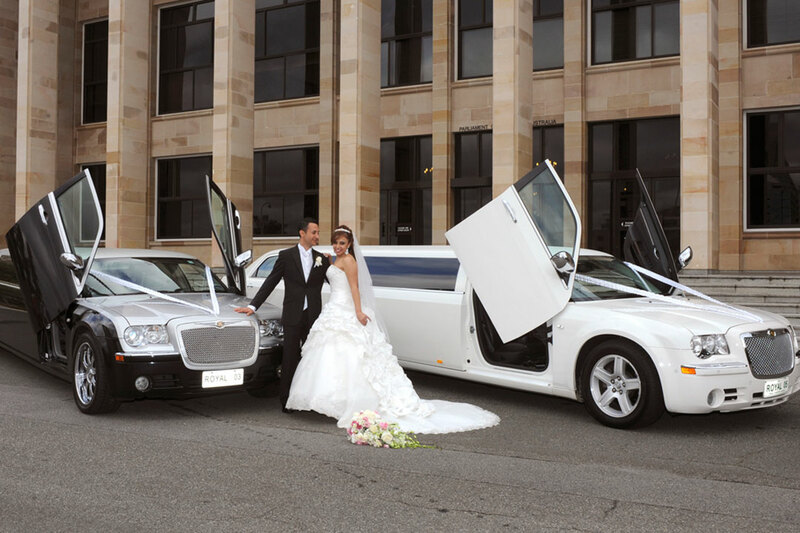 A1 Prestige Limousines’ wedding packages offer excellent value when combined with a hens or bucks night or a midnight transfer for the bride and groom after the celebrations. Please contact A1 Prestige Limousines to organise an obligation free limousine viewing. Colours: White, Black, Silver and Black & Silver.